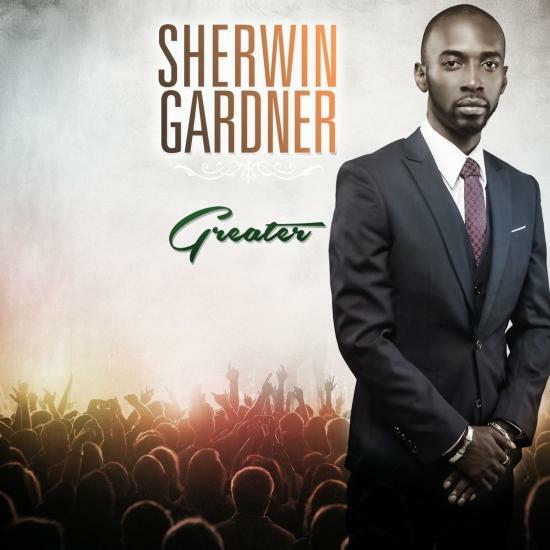 Producer, recording artist and singer/songwriter Sherwin Gardner is a Godly force who since the age of 16 has been spreading the gospel around the globe. He has shared the stage with many of today’s gospel greats including Kirk Franklin, DA T.R.U.T.H. and Israel Houghton; now Gardner looks to make his mark on the world with his debut Tyscot release entitled GREATER. Stand out tracks on this hit laden album include “Restoration,” a high energy song declaring God’s restorative power; the Island flavored make you happy song ironically dubbed “Trouble" celebrating the fact that as believers we have the victory, and the lead radio single “Because Of You,” Sherwin’s beautiful song of praise, worship, reflection and understanding that God’s plan prevails; that he (Gardner) lives, breathes and owes everything to Him! Now in his late twenties, this young singer, composer and producer is presently riding a crest of success that is shipping him to genuine international recognition. But his story begins at birth. The middle of seven siblings, Sherwin’s arrival into the world is nothing short of a miracle. His mother had fallen ill where doctors feared she had cancer. Thankfully tests turned up negative but it was discovered that Mrs. Gardner was 20 weeks into a pregnancy she was unaware of. She was advised to abort the fetus for fear that it would jeopardize her life or the baby would be born deformed. Despite several warnings from doctors, she refused to abort and Sherwin was born healthy and whole. By the time he was five-years-old, he was singing and had taught himself the lyrics to Michael Jacksons, We are the World. From there his uncle, Kenny Patterson, took him in hand to prepare him for the stage. Sherwin made his public concert debut at the Himalaya Club, singing the Church classic He Touched Me. That proved to be the launching pad for a music career that continues to hit new highs with every project Sherwin undertakes. Sherwin began touring at 16 and has since visited most of the Caribbean islands. At 17-years-old Sherwin produced and released his first album entitled Power in the Name. There followed 100% Sold Out, I Rather Jesus and a compilation One Step Closer to Zion featuring artistes produced by Sherwin as a joint project with fellow gospel artiste, Monty G of the Bahamas. The big turning point was his 2002 release Leaning (Lion of Zion) which arguable was responsible for breaking Sherwin on international charts both in gospel/mainstream and projected him to a wider audience. The following year he established his own label Flow Masters Records building an exciting roster of Trinidadian talent. Out of that new-set up came Sherwin’s second international release Closer producing the No. 1 radio single He Died For Me (Hamalhamadla) which spent a staggering 21 weeks at the top spot on numerous Caribbean radio charts. That very same song also earned him Gospel Songwriter of the Year 2004 by the Copyright Organization of Trinidad & Tobago (COTT), the islands most recognized music industry body. Sherwin made a huge impact at the 2004 Marlin Awards, the Caribbean’s official Gospel industry association. With his record-breaking 22 nominations he eventually picked up five awards including Ethnic Recording of the Year, Foreign Language Recording of the Year, Engineered Recording of the Year, Calypso/Soca Recording of the Year and Reggae Vocals of the Year marking the first time a non-Jamaican has ever won this category. Amongst the other accolades Sherwin has received he was awarded Most Impacting Artist at the 2002 Barbados Flame Gospel Awards. As a producer he has stamped his mark on an impressive list of artists like Jonathon Nelson, Carlene Davis, Chevelle Franklyn, Pierre Sisters, Monty G, Tiko & Gitta, Vanessa Briggs, Shiselon, and Jadee. As an artist he has shared the stage with many of the gospel greats: Kirk Franklin, Fred Hammond, Donnie McClurkin, Yolanda Adams, BeBe Winans, CeCe Winans, Vickie Winans, Ben Tunker, Stitchie, Papa San, TD Jakes and is currently at Dr. Jamal Bryant Empowerment temple where he is the media director and also part of the music ministry. With his most recent release, Elevation, Sherwin professes this album as his most personal to date and uses the project to show a more eclectic side fusing R&B, Praise & Worship and Soul with more familiar island sounds Reggae, Soca and Dancehall. The album also marks a new direction as he penned an international management with Faith Management Veryl Howard, making United states his new international headquarters.. The journey is only just beginning as he continues to break into as yet uncharted territories. More than just a singer or producer, Sherwin is a young man whose heart is focused on spreading the Good News of Jesus Christ.